In a previous post I shared about a dozen links to children's publishers who provided extensive resources for teachers (teaching guides, reading group guides, printable activities, and audio and video links). Loved your post! It brought me some new publisher sites, and reminded me of great ones I'd forgotten. However... I couldn't help but notice, your list did tend to concentrate on the northern hemisphere! Check out these Australian publishers and see what you think. Most are much smaller than their US counterparts, so you won't find bells and whistles like flash games etc, but you will find solid support. So I perused Susan's suggestions, and sure enough, she's right! Lots of gems here. Black Dog Books was recommended highly by Susan because their teachers notes are "perfect to add value for both classes and homeschoolers, or just for parents who want to immerse their kids in all sorts of literacy activities." While each title features a splash page with a link to the teaching pdf, you can view all teachers notes on a single page as well. Some really fascinating titles! New Frontier is another excellent publisher, mostly of picture books and children's titles, some educational. They have great support in their teacher notes, which include discrete learning objectives for each title. Walker Books Australia has a useful entrance page for teachers, and from there you'll find pdfs of great literacy-based ideas centered around their books. I noticed that this includes novels as well as picture books (for example, a great teaching guide on Octavian Nothing). As an important aside, I noticed that Walker Books logo, a bear carrying a candle, looked very familiar. Sure enough, there's a Walker USA site, although you'll find their materials for kids and teachers at BloomsburyKids.com. 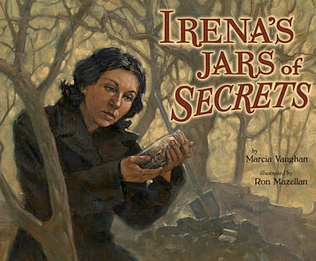 That site features lots of teachers guides as well as reading group guides. Some titles you might know? 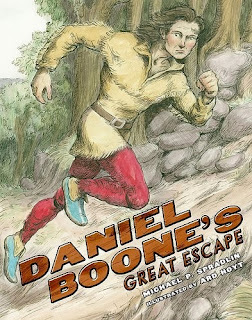 Daniel Boone's Great Escape, Princess Academy, Prowling the Seas,(which I blogged on recently) and Two Bobbies. Susan also shared that Ford St. is another excellent publisher that concentrates more on YA. According to Susan, "This is a small independent publisher with top class books, and again there are excellent teacher notes that promote literacy, and give young people points to think about." I'll definitely include that link when I create a similar post for teaching resources for novels at my How to Teach a Novel blog at a future date. Thanks, Susan, for supporting your fellow Aussies and their fine work in the publishing field. Perhaps this will encourage others to represent their own countries! When you get the opportunity, be sure to check out Susan's excellent blog at http://thebookchook.blogspot.com/. Book reviews, giveaways, and lots of other "good stuff" for teachers, parents, and lovers of children's books. I'm so pleased you thought these Australian publishers were a valuable resource, Keith!